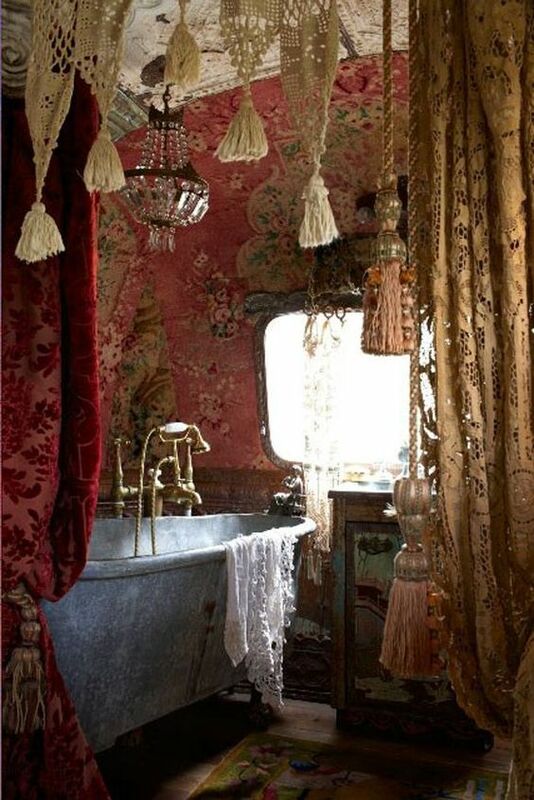 Bathroom can be a place where you can get short vacation: enjoying and relaxing your self. 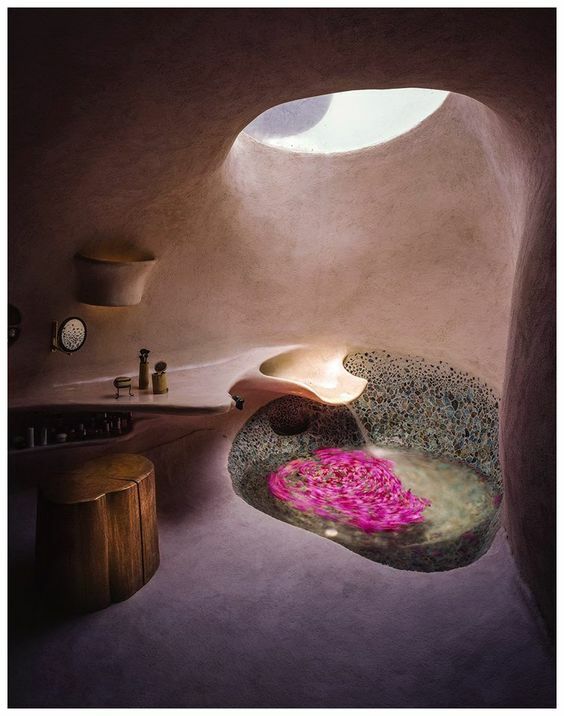 Because it is a private area, bathroom can be a place where you a time out from your real life, especially when you can sit around in your tub, bask yourself in a fragrant water. 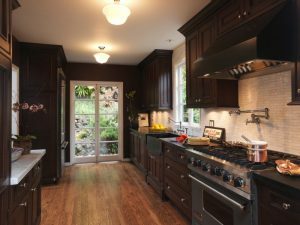 And for that, you will love a beautiful interior to begin with. 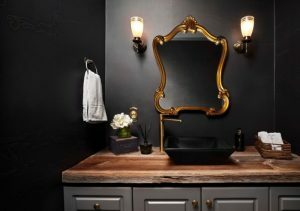 These ones here will show ten stunning bathrooms that use attractive and exotic architecture and interior you will want to add in your inspiration catalog. This one here shows an interesting design with its architectural privilege. The tub, shelves, and sink on the floor are all built-in in the same white textured surface. 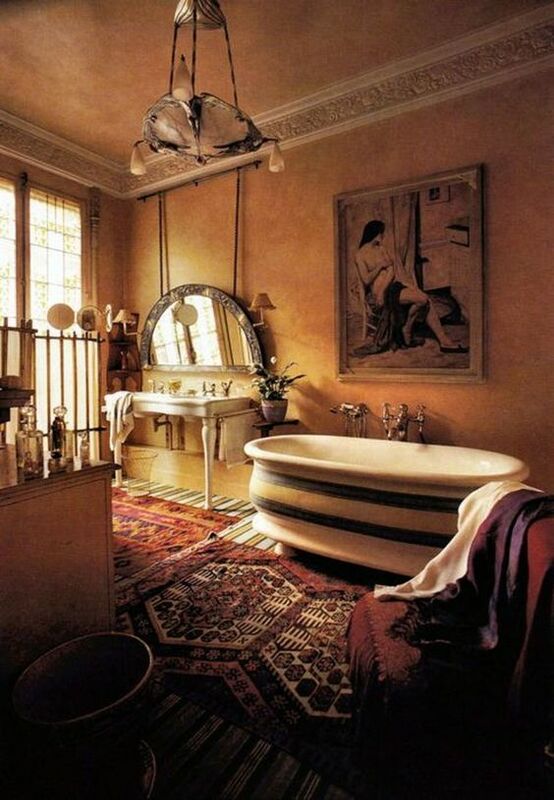 Completed with red rug that has exotic pattern, this bathroom gives a strong exotic vibe. If you love to bring in arch, this look will help you get something warm in the bathroom. The brown wall with round arch on the wall shelves and blue patterned on cornered round tub. 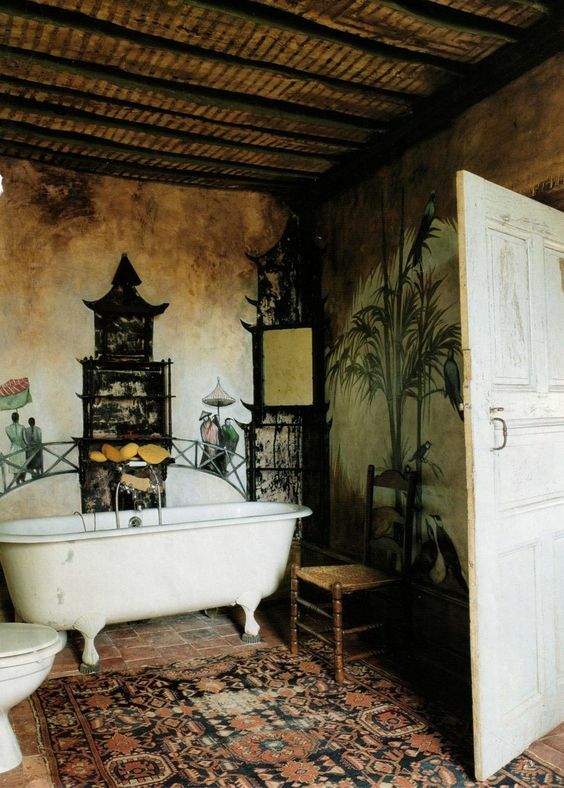 The patterned on the tub and floor look complementing and balance the plain part of the room. This arch has a really beautiful lights under the arch. 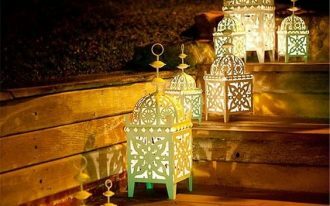 The lights produced by the sun lights that shine through the holes with clear and colored glass. 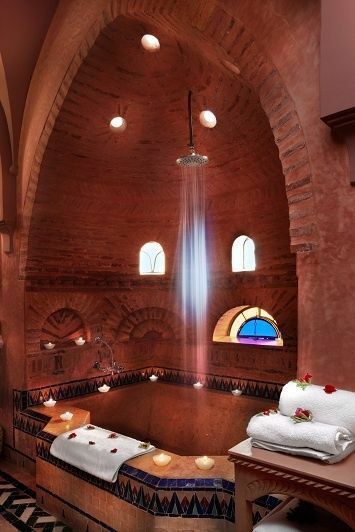 the shower that comes down from the ceiling creates a more beautiful effect to this already pretty sight. 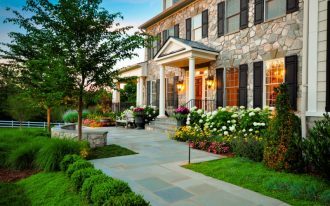 While the previous ones resent an interesting architectural look, this one here is more homey in look. 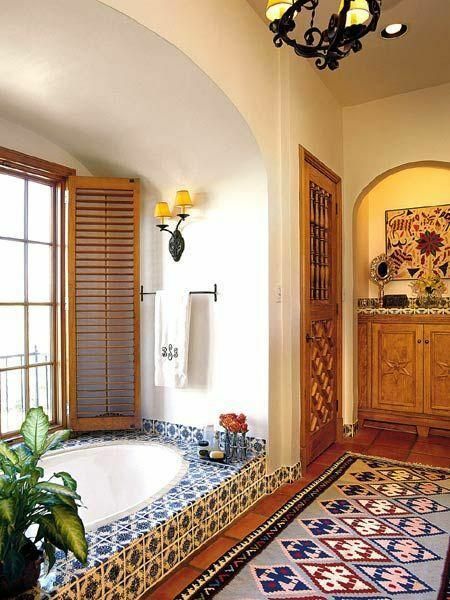 The white arch ceiling is simple yet the details on the blue patterned tiles on the tub and patterned rug bring fun, cheerful and warm look to the bathroom. 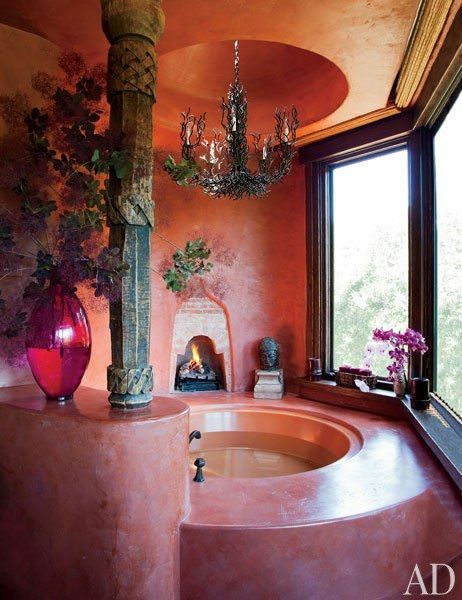 This pink bathroom makes a soft yet exotic look with its round and deep tub on the floor. The water stream is interestingly come from the built-in vessel near the vanity. 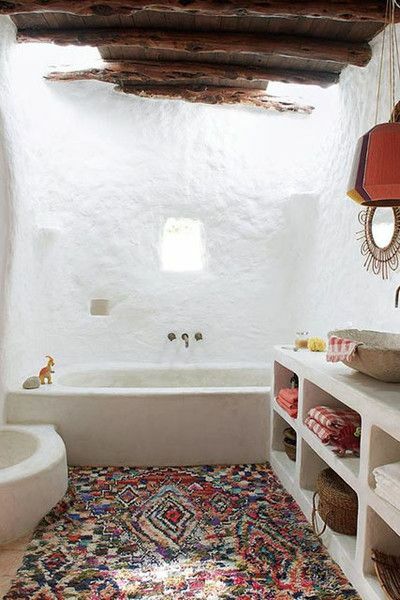 This cave-like design has a hole on the ceiling that makes the bathroom looks bright and natural. 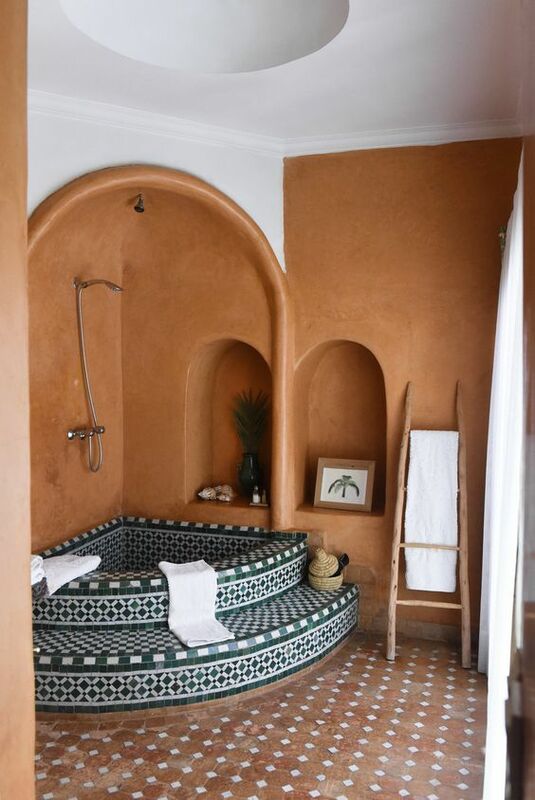 This Moroccan tub creates a really beautiful look with its green wall, Moroccan pendants that brings out its colorful lights, jagged arch, and the cool marble posts and tub lines. If you love the combination of modern and exotic look, this one here gives a great example. 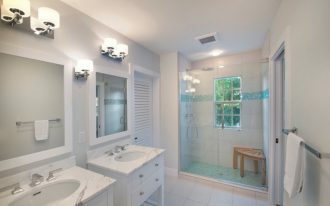 The exotic bathroom has a smooth and clean look in all the surface that works for both styles. The chandelier, though, brings in some details, along with the post and fire place. This one here shows an exotic look without being vibrant and merry. This one here shows bleaker and old look on the floor and wall while still shows a great deal of patterns and tropical details. 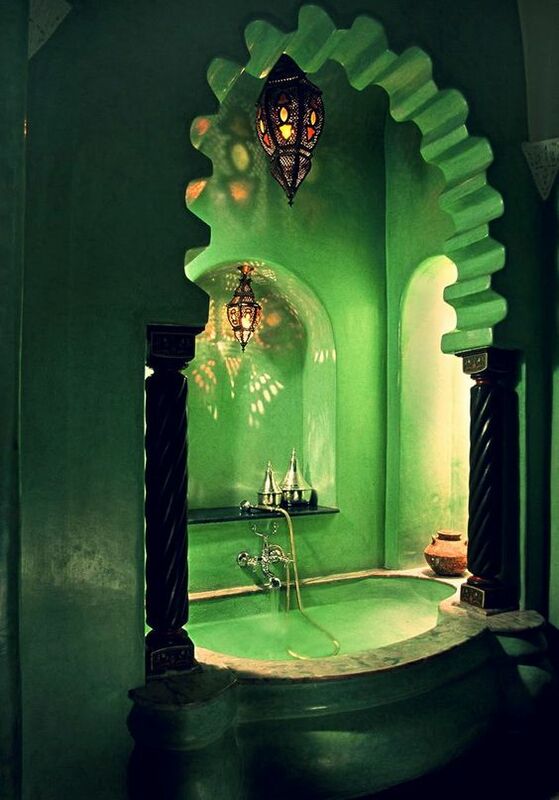 Moroccan style is always pretty and vibrant that many people love to have it see it in their home. 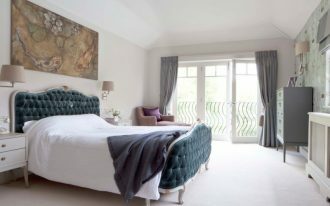 This one here shows a warm and vibrant red on the wall and curtain. 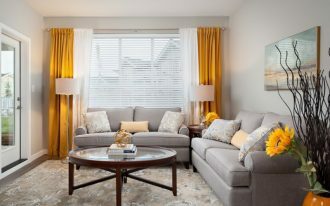 The patterns are clashed but it makes the room feels warmer. Similar to the previous one, this one also rich with red color that is seen in the couch and rug. 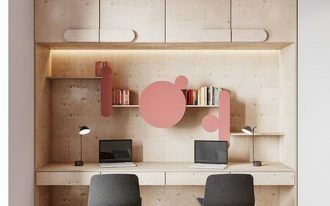 Apart from that, it is enriched with yellow and orange color on the wall and ceiling. The white vanity table and tub brings a great balance to the warm room.